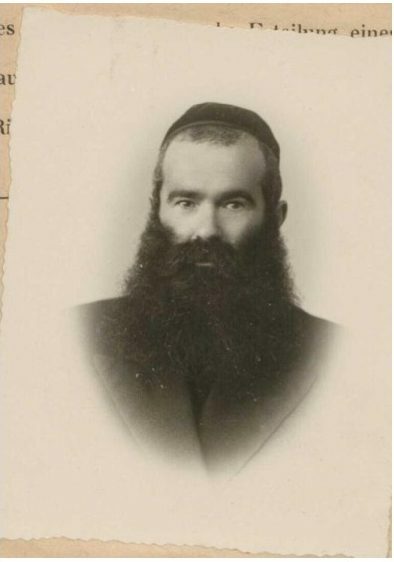 Yehudah Leib Orlean (1900-1943) was born to a family of well-off Gerer Hasidim in Warsaw, studied in the Gerer Bet Midrash, and remained a fervent Gerer Hasid to the end of his days. To his traditional religious learning, he added the philosophical thought of Hirschian neo-Orthodoxy, the radical Orthodox ideology of Nathan Birnbaum, and a broad knowledge in secular philosophy, pedagogy and psychology. In the early stages of his career as an Agudah activist, he was among the founders and major ideologues of Po’alei Agudath Israel, which organized Orthodox workers and campaigned for social and economic justice among Orthodox industrialists and other wealthy religious Jews; he wrote two major works on this theme: Tsu zate un hungerike [To the Full and the Hungry] (1929), and Der farshvunderner gan-ayden [The Lost Eden] (1931). Along with his activities in the Po’alei Agudath Israel, he also served as director of the Bais Yaakov full-day school at 37 Twarda St., turning it into the flagship Bais Yaakov in Warsaw. But after negotiations between the Gerer Rebbe and Jacob Rosenheim about the suitability of hiring a man to direct the Kraków Teachers’ Seminary, Orlean (who was called Mr. Orlean by his students) was appointed director there in 1933 (formally taking over from Sarah Schenirer), and he turned his attentions to leading the seminary and standardizing the curriculum and other practices of the Bais Yaakov system. He was a soft-spoken but charismatic and beloved teacher, who wrote a number of important Bais Yaakov texts: the 1935 textbook Yidish leben [Jewish Life], the biographical essay “Sarah Schenirer,” the 1938 Kultur-program far Bnos Agudas Yisrael, a long essay on Nathan Birnbaum, and others. After the September 1, 1939, outbreak of war (during the seminary’s summer vacation), the seminary closed for good, but Orlean worked to maintain connections with teachers and other leaders of Bais Yaakov and Bnos, corresponding with and supporting them and organizing children’s homes and soup-kitchens, where underground instruction also continued. After a severe beating in January 1940, Orlean fled to Warsaw, where he was nursed back to relative health by Bais Yaakov teachers. There he began to hold classes, at first underground and in 1941, openly. In advanced classes, Bais Yaakov teachers struggled along with him on the difficult theological issues of the day; he also helped found the five Bais Yaakov schools that operated in the Warsaw Ghetto, leading two himself—others were headed by Eliezer Gershon Friedenson, editor of the Bais Yaakov Journal, Rifka Alter-Rapoport, and (jointly) by Mrs. Ravitz and Ehrlich; these schools also served as soup kitchens. Yehudah Leib Orlean was murdered in Birkenau.